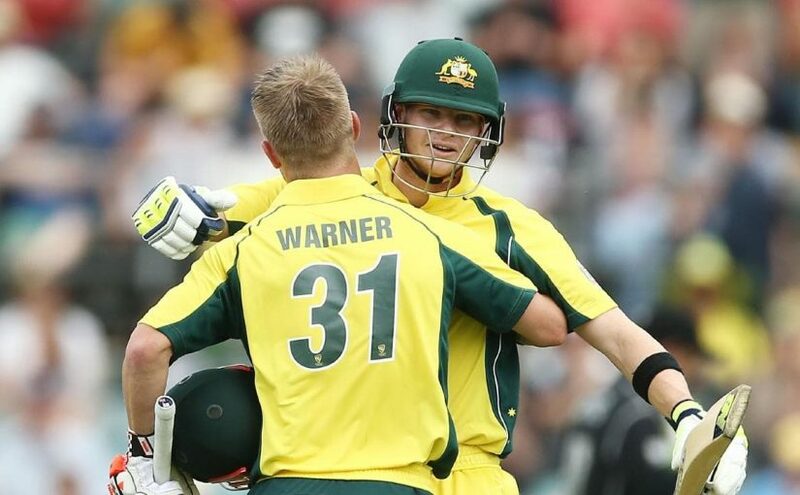 It’s becoming increasingly hard for selectors to find the weak links in Australia’s ODI line-up as they stew over who to tap on the shoulder when Steve Smith and David Warner return. The two, whose year-long suspensions expire later this month, are fully expected to be included in the 15-man World Cup squad that must be submitted by April 23. Australia travel to the UAE for a five-match ODI series after Wednesday’s decider against India. Wales’ wheelchair rugby league side are threatening to leave the pitch in their final World Cup match if flash photography takes place after one of their players suffered seizures. Wales say Harry Jones suffered a seizure in two previous games because of flash photography. They are scheduled for a fifth-placed play-off game versus Spain on Thursday. “Harry has been carried off on a stretcher because of photography,” Wales manager Mark Andrew Jones said. Banning flash photography is not a competition rule at the rugby league World Cup but Wales requested to tournament bosses that announcements be made to both the crowd and photographers. Wales boss Jones says they are pushing for it to be brought in as a rule in future tournaments. “There are announcements and posters at every game regarding flash photography. We now remove the team from the pitch until it’s sorted,” he said. “Harry has photo sensitive epilepsy and flash photography can affect him quite badly, to the point of a seizure. “We made the organisers aware we would request no flash photography and the organisers have been helpful in trying to make that happen. “It is not a rule, but Wales rugby league will take it up with international bodies to make it a rule not to use flash photography in the future. “If we see flash photography, the Wales team will come off the pitch until the problem is sorted. 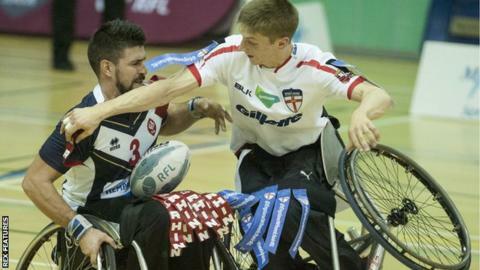 England play in the final of the rugby league World Cup on Friday. India chasing 229 to beat England in Women’s Cricket World Cup final – live! 25th over: India 92-2 (Punam 39, Harmanpreet 32). Sciver brought back to replace Marsh. Keeps Punam honest, a decent shout for leg before. It’s going down, and then quickly realise that and don’t review. Mel Jones on radio complimentary of Sarah Taylor’s influence in preventing any wild referrals. Four singles, including another Punam ramp. We’re at the half-way mark. England were 103-3. Don’t yell at me, I know this means nothing. I’m just sharing. 24th over: India 88-2 (Punam 36, Harmanpreet 30). Oh that’s magnificent from Harmanpreet, the back pad along the ground, swinging with the straightest arms. The contact enough, landing in the grandstand, the chap in the front row putting down the catch. Second time she’s done that. Into the 30s. Nine from the Hartley over – the bowler she seems most keen to take on, much as she was the left-arm orthodox of Jess Jonassen on Thursday. She won’t need long to rip this game apart. 23rd over: India 79-2 (Punam 36, Harmanpreet 22). Marsh’s third over on the bounce where four singles have been added. Nothing more. Both sides probably happy enough with that. Three of those down the ground. A scoop too. Punam had a couple of goes at that now. 22nd over: India 75-2 (Punam 34, Harmanpreet 20). Hartley encourages a Harmanpreet dance early in the over. As I tried to explain after her 171 the other day, you just have to hold your breathwhen she goes down the track like that. Each time is an event. It only gets her a single this time though. Two from it. Hartley doing plenty right here early on.21st over: India 73-2 (Punam 33, Harmanpreet 19). 75 for Duckworth Lewis at the end of this over. I raise this becuase we have a game with 20 overs now registered. They get four from the over, all risk-free, leaving them two runs short of that mark. But the point is, we have a smashing contest on our hands here. Especially with Harmanpreet now up and about. Get yourself in front of a TV. This is spot on. 20th over: India 69-2 (Punam 31, Harmanpreet 17). A mate of mine popped on the social media the other day that when his boy grows up he hopes he can keep like Sarah Taylor. She shows her unique game awareness again here, dancing around while Punam is mid-ramp. So close to gloving it, too. Oh but forget about that: Harmanpreet has just done her thing! Dance, stop prop, swing of the arms, connect, six! And a big’un! Nearly into the crowd, 20m beyond the actual boundary. On ABC TV in Australia overnight Gideon Haigh compared her posture to that of the iconic Victor Trumper image (that he’s literally written the book on, so he would know). Buckle up. 19th over: India 59-2 (Punam 28, Harmanpreet 10). Excellent little session since Raj was removed, England conceding 16 runs in 35 balls thereafter with Marsh’s set here conceding four. India helped by a legside wide. But it did give Taylor the chance to show off her mad skillz again behind the stumps.18th over: India 55-2 (Punam 27, Harmanpreet 8). Right, so it’s Hartley. We’ve seen her left-arm spin claim big wickets in this tournament, not least Meg Lanning. That was the game with the biggest crowd before this one, and she as ice cold under pressure. Here, she tosses it up to Harmanpreet from the get go, 45mph. Five high-quality dots before the Indian matchwinner goes sweeping to end the set. A single to square leg keeps her the strike. Big contest between those two coming up, surely.17th over: India 54-2 (Punam 27, Harmanpreet 7). Marsh giving it some air, encouraging both the drive. Harmanpreet doesn’t make great contact and it goes back to the bowler. Looked close to reaching her on the full. Not to be. Punam more convincing, out to deep point for a couple. Four from it. Time for a drink in the middle, with Alex Hartley ready to take the ball for the first time in England’s defence of 228 when they return. And for those on weather watch, it is very sunny. And we’re three overs away from “a game” as they say in DLS speak. On the radio, Lottie says England are “just in front.” 16th over: India 50-2 (Punam 24, Harmanpreet 6). Maiden for Jenny Gunn. Completed after a fantasic diving stop on the circle at cover to end the over. Didn’t quite catch who it was – maybe Beaumont. That’s what India did so well. The standard of fielding lifting for the final. Football’s world governing body Fifa has released its full report into alleged corruption in the 2018 and 2022 World Cup bids. It comes after German newspaper Bild published extracts of a leaked copy of the report on Tuesday. The 2014 report was authored by former Fifa independent ethics investigator Michael Garcia. He quit in protest when the organisation only released a 42-page summaryof his document. That version cleared Qatar and Russia of corruption allegations but was critical of the English Football Association’s conduct in the bidding process. Fifa said its president Gianni Infantino had always intended to release the full document, which has more than 400 pages, but its former ethics chiefs had refused to publish it. The former chairmen of the ethics committee, Cornel Borbely and Hans-Joachim Eckert, were replaced in May after completing four-year terms. Fifa said it had intended to discuss the release of the report at a meeting next month, but added: “As the document has been illegally leaked to a German newspaper, the new chairpersons have requested the immediate publication of the full report in order to avoid the dissemination of any misleading information. Why was the investigation started? Garcia was appointed as Fifa’s independent ethics investigator in 2012 and asked to look into the 2018 and 2022 World Cup bidding process following claims of corruption around the bids. They included allegations that disgraced Qatari football official Mohamed Bin Hammam made payments totalling $5m (£3m) to football officials in return for their support for the Qatar bid. Qatar vehemently denied votes were being bought and said Bin Hammam had not been acting in an official capacity. Garcia spent two years investigating the claims and looked into all nine hosting bids – including one by the England FA. Russia won the right to host the 2018 World Cup, beating England as well as joint bids by the Netherlands/Belgium and Spain/Portugal. At the same time, in December 2010, Qatar won the 2022 bid ahead of Australia, Japan, South Korea and the United States. Fifa released a 42-page summary of Garcia’s final report in 2014. 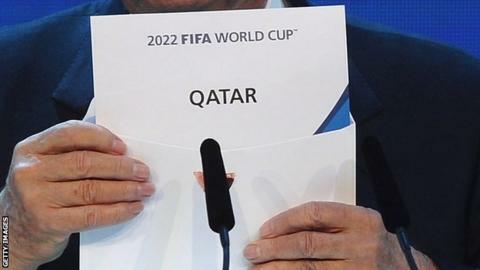 It cleared Qatar of any wrongdoing, ending any possibility of a re-vote for a new 2022 host. However, the report said there were “certain indications of potentially problematic conduct of specific individuals” – though Bin Hammam’s payments were judged to be for his personal political interests, not the 2022 bid. Russia, meanwhile, was also cleared of any wrongdoing, though the investigation had “only a limited amount of documents available for review” because the Russian team’s computers had been destroyed. The English FA was accused of acting improperly in trying to win votes and flouting bid rules, while Australia too received criticism. While Russia and Qatar welcomed the report, the FA baulked at the criticism. The man who led the investigation, Garcia, complained Eckert’s precis of his report was “erroneous”. Garcia subsequently quit and Fifa’s critics said it showed the shortened, released report had been a “whitewash” and called for the full report to be released. Almost three years later, they have got their wish.